Throughout much of the Penguins' fan base, Saturday afternoon's trade of Reid McNeill to acquire Danny Kristo was labeled as "minor." The fact is, if you live in Northeast Pennsylvania, or your first priority is the WBS Penguins, there is nothing "minor" about the deal. 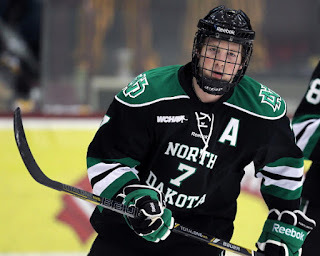 Kristo brings quite the pedigree to a team that is already sitting atop the AHL standings, and his goal scoring prowess has the potential to provide a huge boost to a team in need of some offensive help. At the quarter pole of the American Hockey League season, the Penguins find themselves in a familiar position; atop the Atlantic Division Standings. They have used the stingiest defense and the top penalty killing unit in the league to jump out to a 12-3-1-0 start. Their young Goaltending duo has been stellar thus far, evidenced by Casey DeSmith leading the league in Goals Against Average and being Top 5 in Save Percentage. Tristan Jarry is also living up to the hype he brought with him to the AHL, and has carried the team at times. The loaded WBS blue line has been dynamite, allowing a total of 30 Goals in just 16 Games, which is sheer dominance. 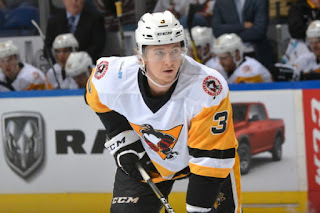 As good as the AHL's version of the Penguins have been to this point, at times they have struggled to create offense and have relied heavily upon the top line of Jake Guentzel, Carter Rowney, and Tom Kostopoulos. 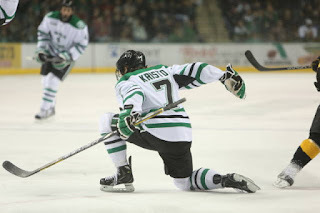 Enter Danny Kristo. When Kristo hits the ice in Hershey tonight, his new club is hoping it's a classic case of a new team and a fresh system giving a talented player a spark, Kristo has just 2 assists and is yet to score a goal in 8 games. Considering the team's leading scorer is in Pittsburgh making a name for himself (Jake Guentzel scored 2 goals in his NHL debut Monday night), the offensive boost couldn't come at a better time. Clark Donatelli addressed the trade following Saturday's win over the Bears; "He's a 20 goal scorer over the last 3 years (25,22,25) in this league. He's a good player who needs a chance to play, and we're happy to get him." The longest tenured Penguin McNeill will now play in the Blues organization. Like most quality trades at the professional level, you have to give to get. The Penguins had to part ways with the longest tenured member of their team in Reid McNeill. Donatelli acknowledged that they will miss the defenseman. He gave a glowing review of his time with McNeill saying, "We're going to miss Reid, he's been a leader for us. He started with me back in Wheeling, and I'm a big Reid McNeill fan. He has played really well for us and he's getting a different look in a new organization now. 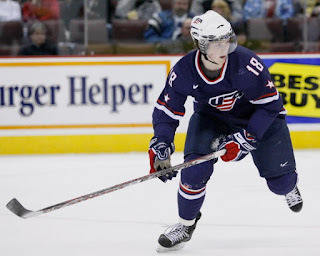 We're really happy for him, he's a helluva player and we wish him the best." Time will tell whether this was a good trade or not for the Penguins. What cannot be disputed is that Jim Rutherford and Jason Botterill have addressed an organizational need and still have a very deep pool of defensemen despite the departure of McNeill. For now, it appears as though the AHL's best team just got even better and that should be exciting for WBS Penguins fans everywhere.